Thank you for transporting hope this holiday season with a gift that gives twice. 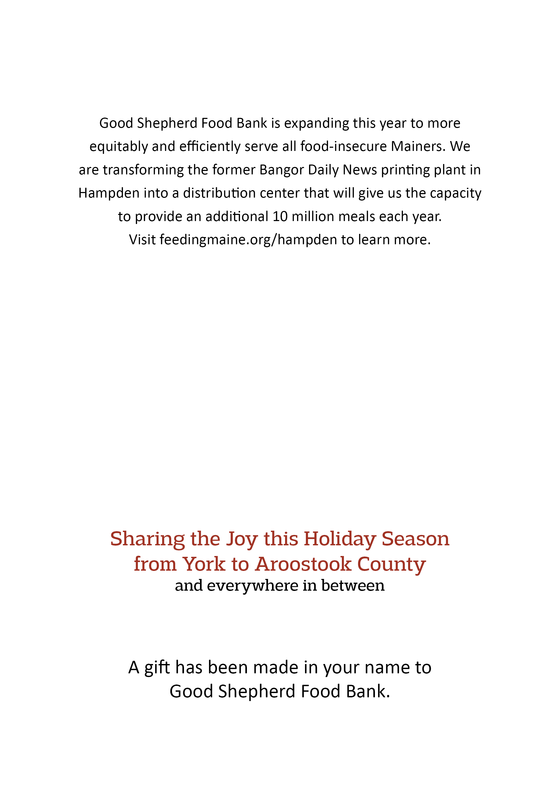 With a donation of $25 per card, you can send your loved ones and/or business associates a holiday card indicating that a donation has been made on their behalf to Good Shepherd Food Bank. Just complete the form below and you will receive a special Good Shepherd Food Bank holiday card to send to the recipient, along with a pre-stamped envelope for your convenience. Please note that donations do need to be received by December 14th to allow time for the card to reach you prior to December 25th.